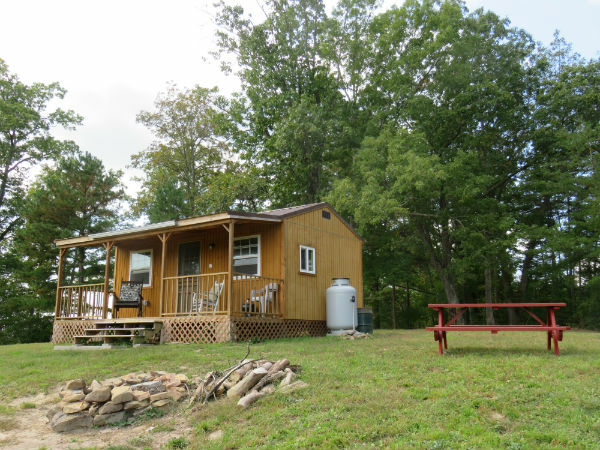 Completely private and secluded; very classy one room cabin in the woods, featuring a generous sized hot tub. This is the perfect cabin for your romantic getaway. 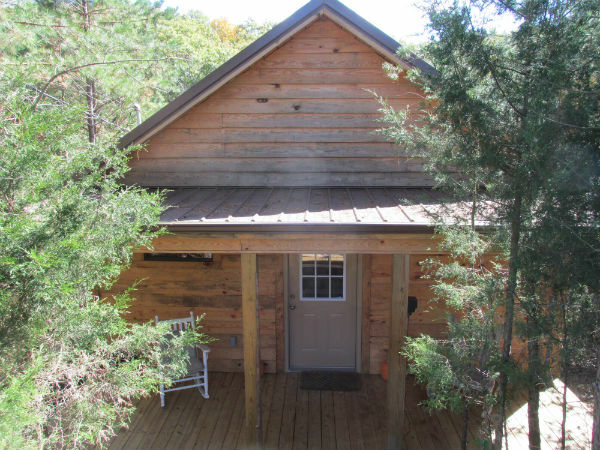 Studio cabin: sleeps 6, queen bed w/ memory foam mattress in bedroom area, plus 2nd floor loft bedroom w/full size bed. Couch/sleeper sofa, full size in living room area. A basic camping cabin in a beautiful setting. Private, all by itself. Full size bed, propane heat, AC in summer. Bring camping gear (lantern, cooking stove, cookware, utensils, charcoal etc. etc.) with you. What a nice place! Everything was so peaceful. We loved the privacy and seclusion. The hot tub was great as were all the sounds from the woods. Thank you for sharing it with us. This was a wonderful, relaxing cabin! The full moon view from the hot tub was a real treat. 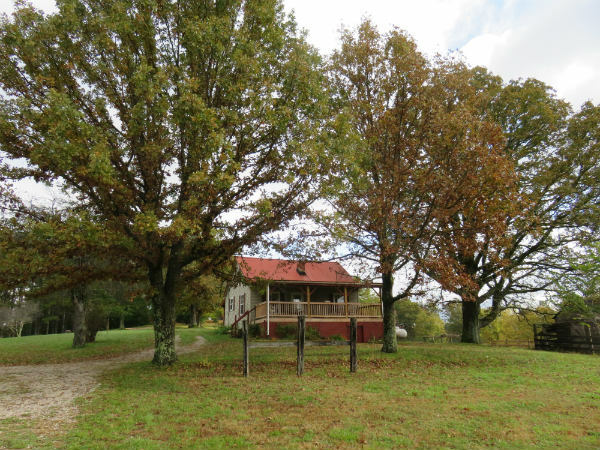 This property is beautiful, the cabin was cozy! Thank you for all the amenities in the cabin. We enjoyed our stay very much. What a wonderful stay we had! Thank you for sharing your little slice of heaven with us. We needed this get away and found the perfect place. The view was amazing, the out door shower is just fab. Five stars for sure.